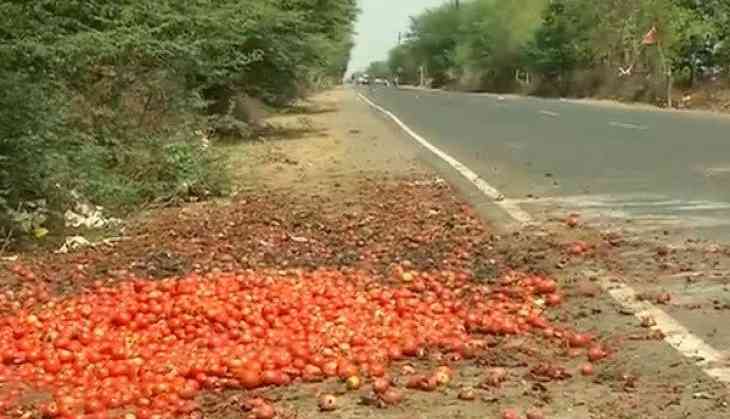 A farmer in Budhni town of Madhya Pradesh's Sehore district was forced to throw away his 100-crate stock of tomatoes, after he received only Rs 680 for it from the vegetable merchant. Another farmer from Amon Village, Brijesh Kumar (45) said that he had taken a loan of Rs six lakh for farming, and he too was forced to throw away his stock of tomatoes because of low returns. Kumar lamented that the lenders' pressure on him has left him with no option but suicide. As told by Virendra, the area doesn't have a cold storage to preserve these perishable commodities which has resulted in this situation. He further alleged that his repeated requests to the state government has also failed to bear fruit.